Recently, a political propaganda driven by the All Progressive Congress, claims that some PDP legislators in Lagos state have concluded plans to join the ruling party. The claims that this defection will secure a soft-landing for legislators in the south-western region ahead of 2019 general elections was trashed by Hon. Tony Nwulu, the house of reps member, representing Oshodi/Isolo constituency in Lagos state. This reaction was made through his media aide, Alex Nwankwo who condemned the claims by upholding the undeniable glories and achievements of PDP hitherto. Still reacting to the claims of APC, Alex Nwankwo stated that Hon. Tony was dedicated to the growth and development of his constituency under the PDP platform. He says, "we are committed to deliver true democracy and to sustain its dividends for the people. The Peoples Democratic Party is well-able, strong and competent enough to drive the affairs of this country to heavenly standards, he stressed". His media aide discharged the claims when he stated that the circulating propaganda holds no water and is unable to shake the unity, strength and preparedness of PDP. He says, "through the platform of the peoples' Democratic Party, Nwulu was able to initiate sustainable revamp strategies/structures that will continually promote youth inclusiveness in governance, structural reform and human capital advancement". However, as a PDP legislator, Hon. Tony has received several applaud by Nigerian youths for his sincere contribution to the growth and development of youths in his constituency and Nigeria in entirety. 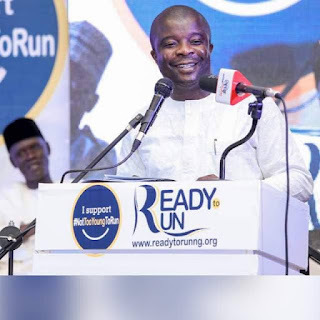 This is evident as we celebrate his intellectual vibrancy which led him to initiate the first bill that seeks the fundamental inclusiveness of youths in governance – "not too young to run"; he is also one of the youngest legislators in Nigeria. To buttress on his legendary prospects and recommendations, Hon. Tony Nwulu, was received over the weekend by youth across Imo state who applauded and appreciated him. They promised to support him in actualizing his visionary plans for Imo eventually, the youths called on the Honourable to extend his leadership virtues to the state by running in the forthcoming gubernatorial elections in Imo state. He also stated that the plots to distract him and other PDP legislators in Lagos state was a fruitless mission; it is inconsequential and paraded by enemies of the party who are hard bent on destroying the true vision of economic reform, infrastructural rehabilitation, resuscitating human resources as well as every other resources in Nigeria.